On The Banking: Are you Mr Big? The world of cycling viewed from an angle of 42 degrees. And if you're not do you know where I could find him?? 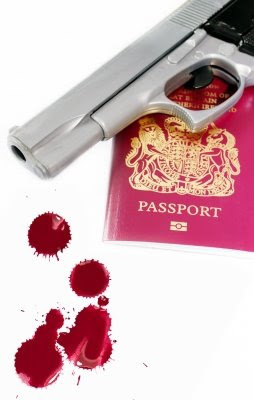 Now I fully accept that the blood passports are going to catch riders who like 'a bit of needle up the arse' so to speak. But the fact that the first batch of God knows how many hundreds of thousands of tests should only turn up 4 blokes you've never heard of plus one who's only major win was so unexpected a one eyed half dead stick insect could have picked him out of a line up, is a bit, well a bit hard to believe, that's all. Was I expecting 'Big' names? Well the absence of certain riders does surprise me, it may well surprise you. But then again who's taking the samples and pointing the finger? Yep the UCI, so maybe I shouldn't expect any walking on water, just a little dampening of the collective foot, a little toe in the water of litigation. Anyway, to be honest I don't give a monkeys who is caught in the future, well OK I do, I mean there are certain names I'd like to see in the frame, but as long as some names are getting crossed of the scum list I'll be averagely happy. Big names, small names, don't care, the fewer tossers in the peloton the better for us all. The more pressure that is excreted on dope cheat scum the better, and be that UCI passports, CONI bans, blue or clear wrist bands, ASO bans, or the IOC doing something (ever the optimist eh?) the better for all of us. Books, Posters and that something for the trackie in your life! Me, Me , Me, it's all about me. Cyclinglinks - Links to almost every race there is! All rights reserved. This original material may not be published, broadcast, rewritten or redistributed without written permission.